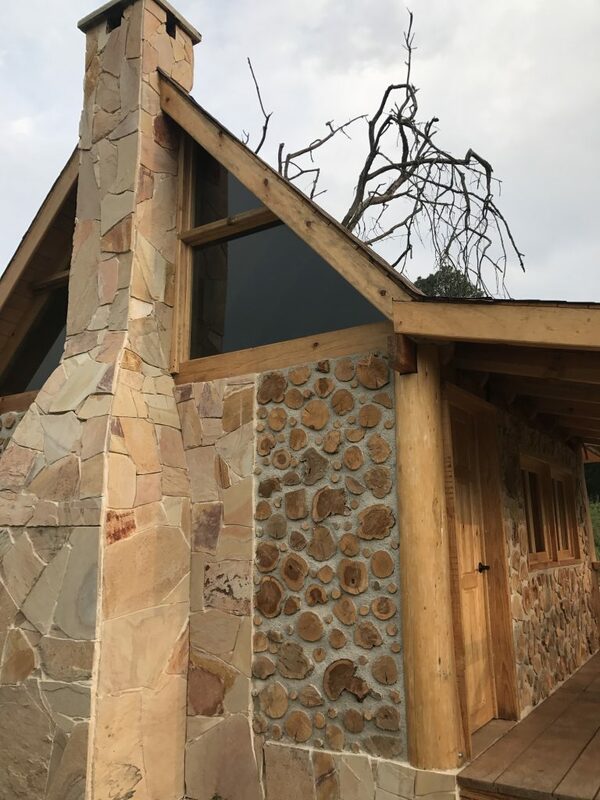 Mario Alberto Bastida Vargas sent these lovely photos of his cordwood building project in the forests of Nanacamilpa, Tlaxcala, Mexico. Here are some of the details. 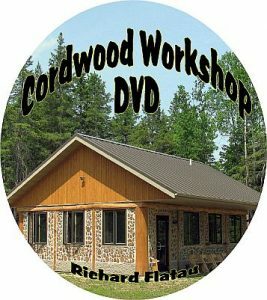 He used red cedar and white cedar for the cordwood infill. 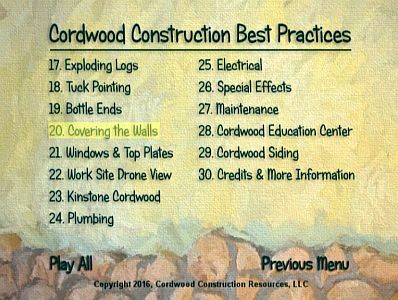 The posts are white cedar. The beams are Oyamel wood and Pino Ocote. 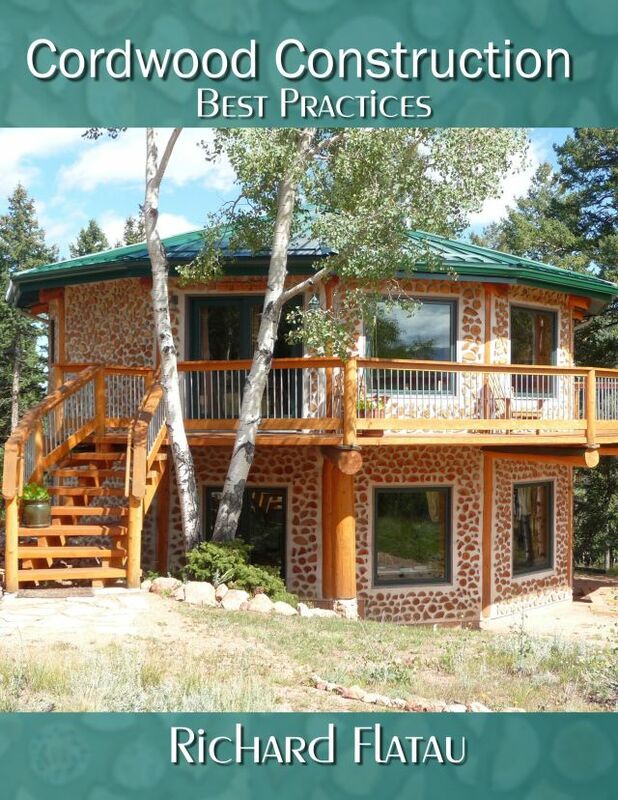 The stone and masonry work is very attractive. 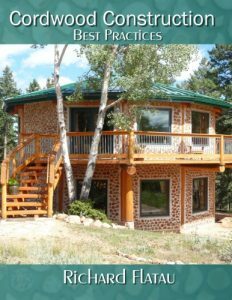 The adobe block bricks are used for the bathroom. The interior is comfortable and inviting. 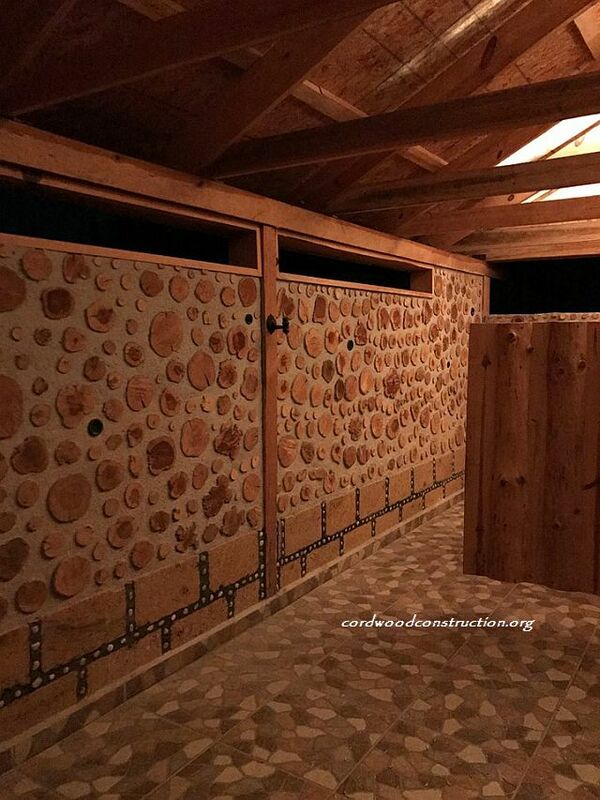 Mario has completed some other cordwood work for the Nature Sanctuary at Canto del Bosque in Mexico, like the bathhouse (below). The bathhouse was built a few years ago. The mountains in the distance certainly add to the ambiance of the site. 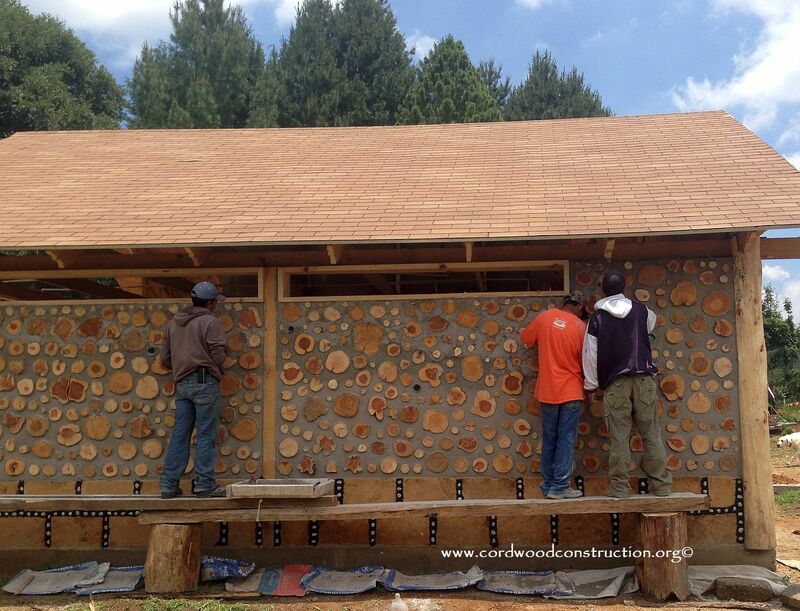 There is now a large round celebration pavilion made partially with cordwood near the bathhouse. 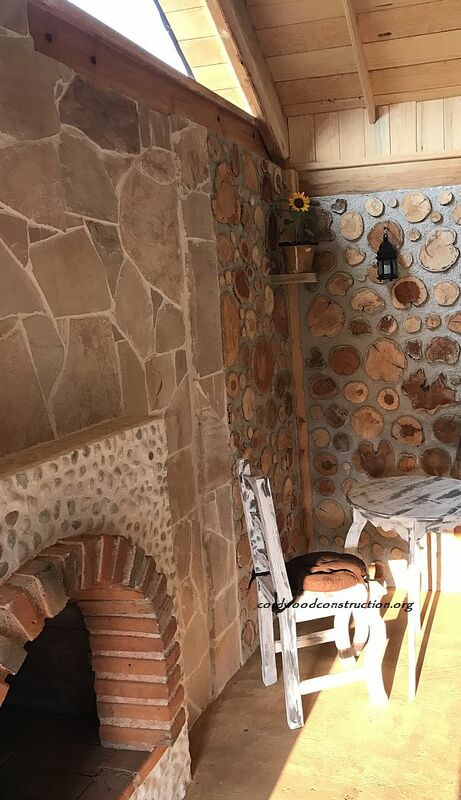 Mario used my favorite mortar recipe of 3 masons sand, 2 soaked softwood sawdust, 1 Type S hydrated lime and 1 portland cement. He is very pleased with the results. 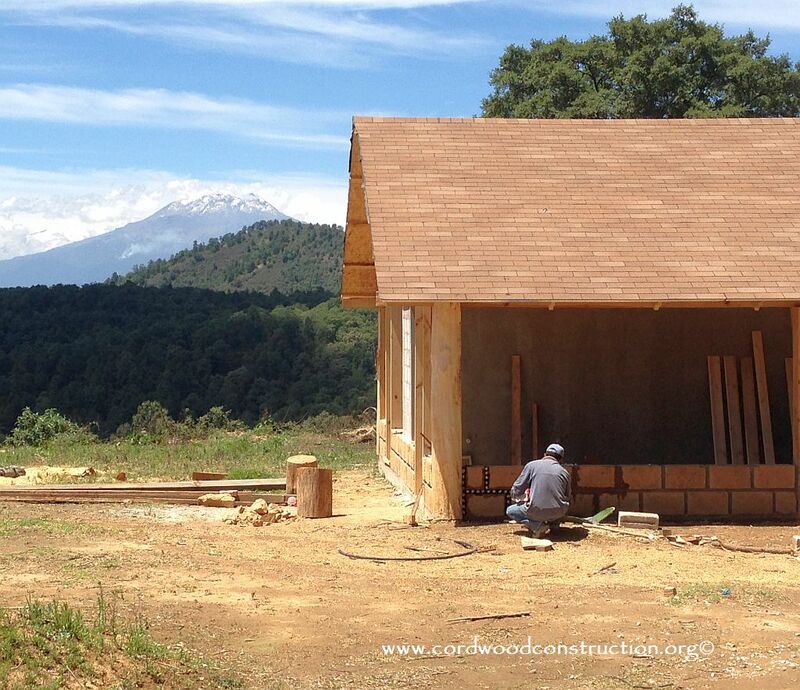 The Canto del Bosque Nature Sanctuary can be contacted at the following link. 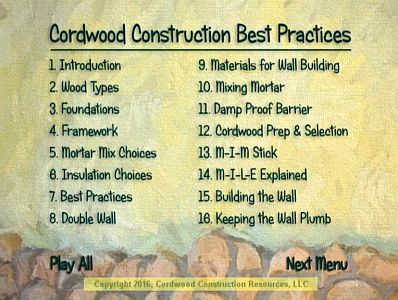 Cordwood Construction Best Practices is in English and although the pictures are worth a thousand words, it can be translated into any language using Google Translate (which is free). Simply copy and paste text into the program and select the language.